One thing in kitchens that kinda bugs me is when the kitchen is nice and bright but the counters are dark because the upper cabinets cast a shadow. 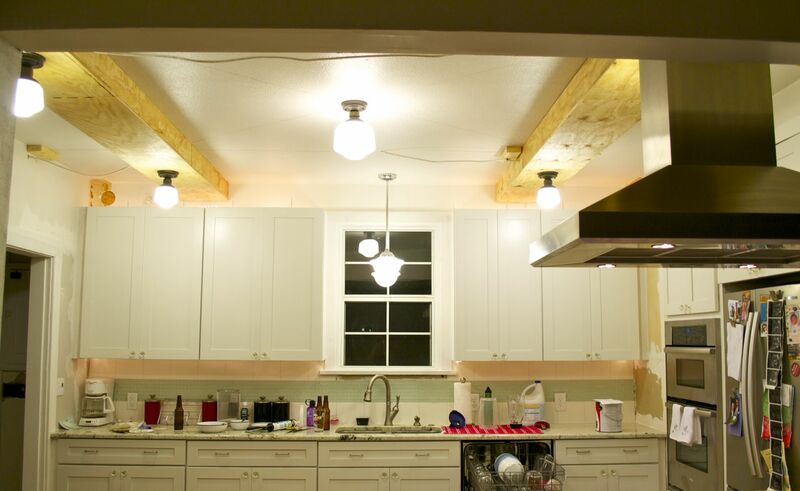 To solve this issue in our new kitchen, we installed a bunch of accent lighting. 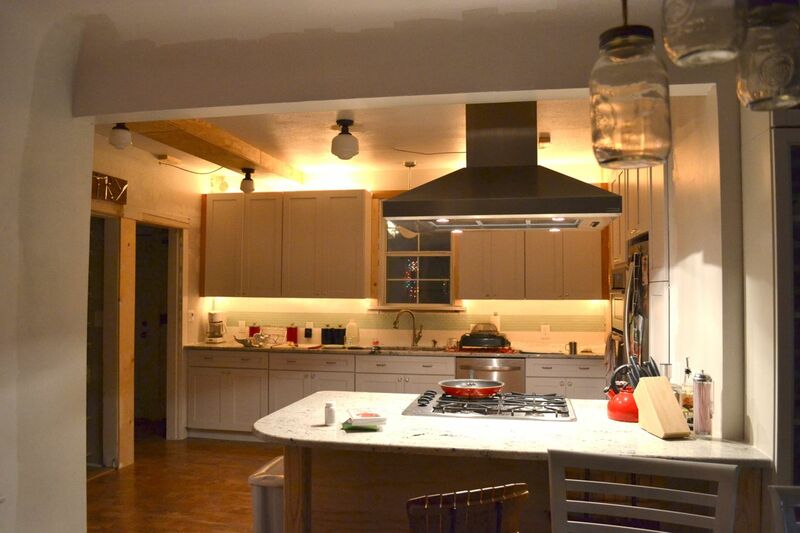 The biggest accent group is the cabinet lighting. We used rope lighting along the front end of the upper cabinets and also ran it along the top of the uppers. 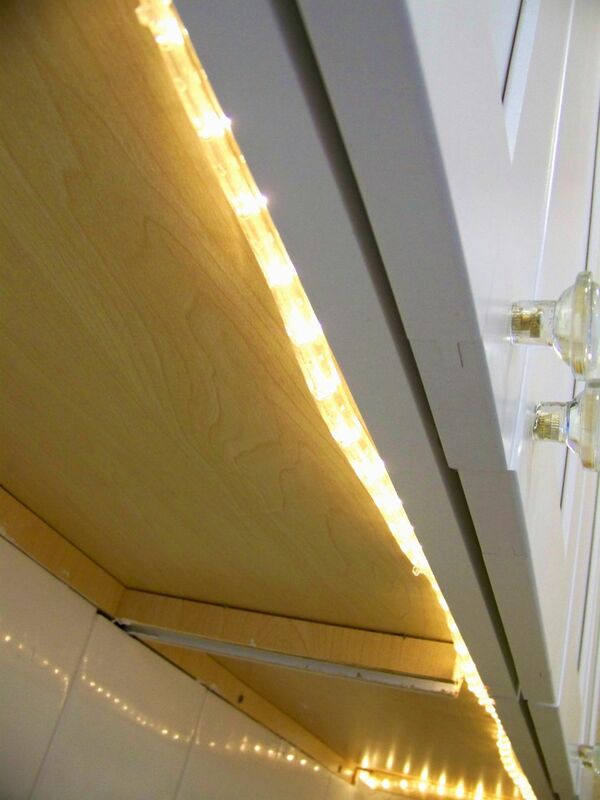 The rop lighting came with little clips to attach to the cabinets which we don't love because they break super easily but we've managed to get the them up for now and will probably try to come up with a better way of attaching them later. 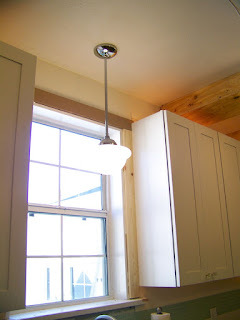 We also installed a special switch for the cabinet lighting. 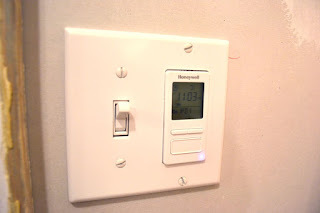 It is a timer switch so that the cabinet lights come on when it gets dark out and turn off when it gets light so that we always come home to a little bit of light (or we can schedule it to turn on at different times). It also has a manual switch so if we want to turn them on during the day we can just hit the switch and it doesn't interrupt the timer... in other words, it's the king of switches. To give you a feel for the accent lighting, here is a couple of night shots with the cabinet lighting and our second set of accent lights, the hood lights, on. As you can see, the hood lights are pretty bright and you can cook and prep on the island without the overhead lights on if you want. It's also nice at night to have the soft cabinet glow coming from the kitchen. It gives you just enough light to get a snack or drink without completely overwhelming your senses. 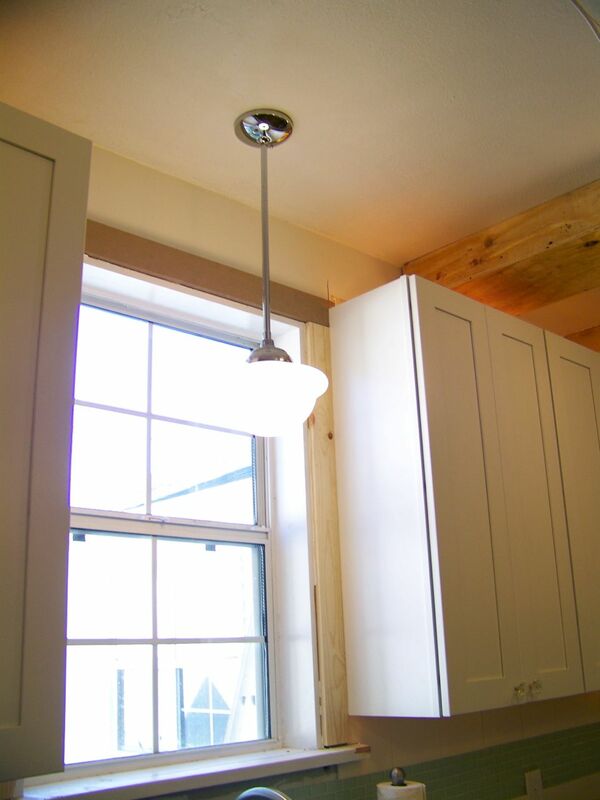 The last bit of accent lighting that we installed is a pendant over the sink. It is a school house pendant in a similar style as the main lights (you can see the shape of it better in the above pics). It gives you a little boost of light when you are doing the dishes, especially at night. 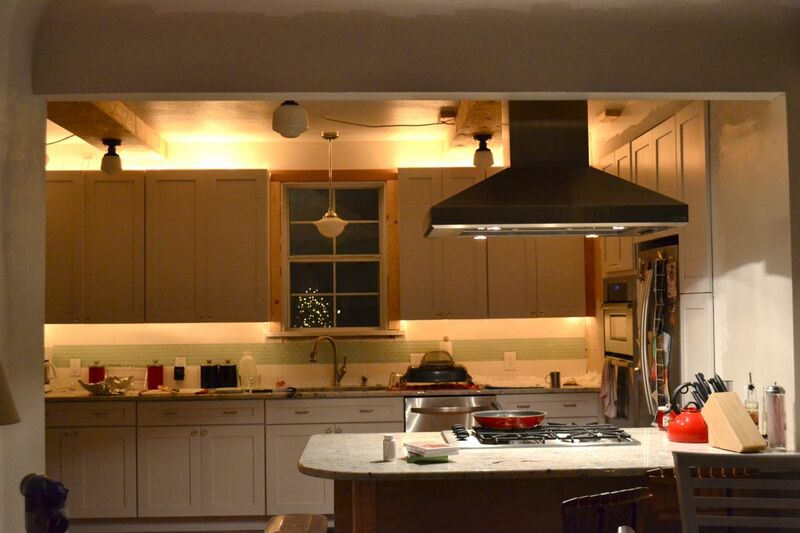 And finally, here's a shot with all the lights on in the kitchen at night. We are really happy with how we can control how much light we have on at any given time. We are slowly pushing through with the finishing touches in the kitchen while trying to balance it with working in the back rooms to get ready for baby. For the most part, we need to finish the beams, put up a lot of trim and paint paint paint! The list really isn't that long but motivation levels and time around the house are decreasing so it is taking a little longer than anticipated.